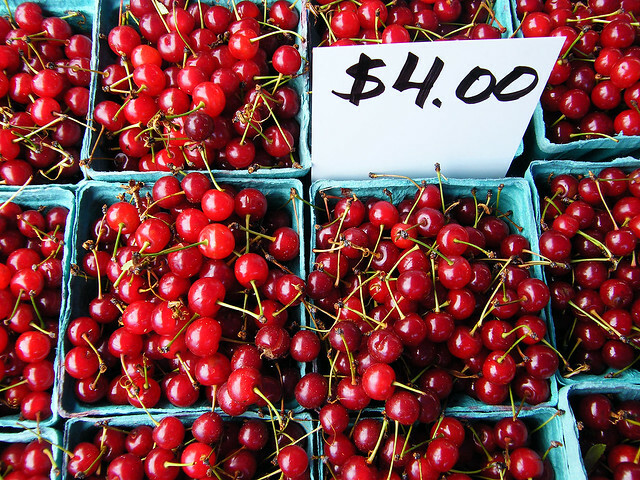 Celebrate nature’s bounty with U-Pick Farms and Farmer’s Markets near Union Pier, Michigan! Check out harborcountry.org/farms/ for a full list of farms and Farmer’s Markets in Harbor Country! And download this list of Southwest Michigan U – Picks to see where and when to get asparagus, red raspberries, plums, peaches, nectarines, blueberries, sweet cherries, apricots, grapes and apples. After a day at the market, head back to your cozy cottage at Firefly Resort, where you can prep and make meals in a kitchen with a full-sized refrigerator/freezer, stove top and microwave. Call 269-469-0245 or book online at fireflyresort.com! Our cottages come complete with all the amenities you’ll need while on vacation! Each cottage features a kitchen with refrigerator, stove and oven; dishes, glasses, eating utensils, pots, pans, etc. ; bathroom with shower; basic cable; and WiFi throughout the resort! Browse through these photos to choose your favorite cottage and then call 269-469-0245 or email lmvr.rentals@gmail.com to make your reservation today! You are currently browsing the FireFly Resort blog archives for July, 2016.